Whey, pronounced (WAY) is a derivative of milk. It is one of the two major proteins in milk; the other is casein. Whey is the liquid that is left behind after the first stages of the cheese-making process. It also available in powder form. Whey makes up 90 percent of the volume and 50 percent of the solids of milk that are used in the manufacturing of cheese. If you are lactose intolerant, you should avoid whey as it does contain lactose. Whey is a dairy product and will affect those who have milk allergies as well. If you have ever curdled milk, you have witnessed a botched version of cheese production; the whey is the liquid component that separates from the solid particles. ("Curds and whey" is essentially cottage cheese.) ​Whey is high in protein and found in dairy products, protein shakes and bars as well as countless processed foods as an additive. It is often processed into more concentrated forms such as whey protein, whey protein isolates, whey protein concentrate and whey protein hydrolysate and hydrolyzed protein. Because whey is a by-product of cheese-making, it has been used in a number of ways in food manufacturing. An overabundance of whey has even been used to fertilize fields. The most common use of whey is as an additive in many processed foods. It is added to ice cream, puddings, crackers, bread and other commercial pastries. Sweet Whey: Cheeses that are made with rennet, such as cheddar, mozzarella, brick, and Gouda create sweet whey, marked by low levels of acid and ash. 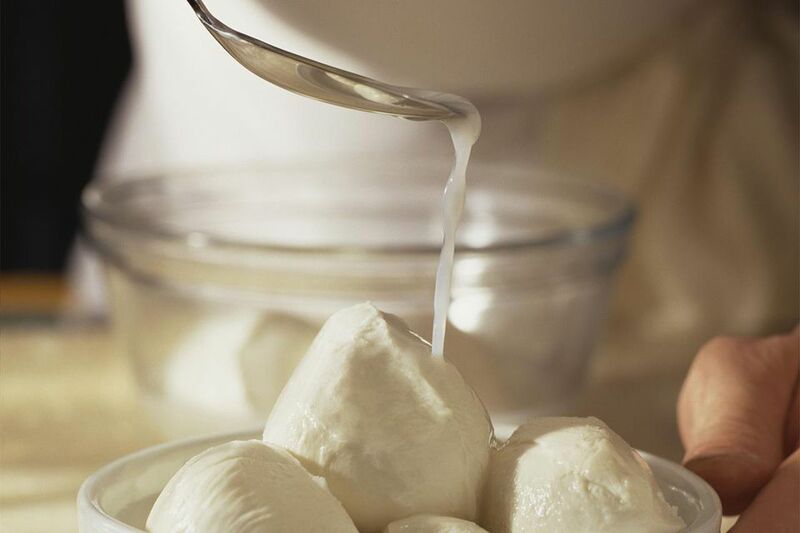 Sweet whey is used to make soft cheeses, such as ricotta cheese as well as mizithra, mysost and gjetost cheeses. Ricotta cheese is primarily used in lasagna and ravioli recipes. Acid Whey (sour whey): Acid-set cheese such as cottage cheese, cream cheese, and chevre cheese have high levels of ash and acid. Acid whey is also a by-product of Greek yogurt. Acid whey is used in animal feed, but its use is restricted because of adverse effects to the natural environment and waterways. Whey protein concentrate (WPC): This is the least processed of the three, containing anywhere from 30 to 85% of whey protein. Whey protein isolate (WPI): This has the highest concentration of whey protein and has the least amount of carbohydrate and fat as lactose. Whey protein hydrolysate (WPH), also called hydrolyzed whey protein: Is highly processed in that is goes through a process that breaks down enzymes so that the protein is easier to digest and quicker to digest than other forms of whey protein.